The time has finally come, Neatsmith has opened its doors to its new flagship showroom on the King’s Road in Chelsea, the heart of London’s interior design. 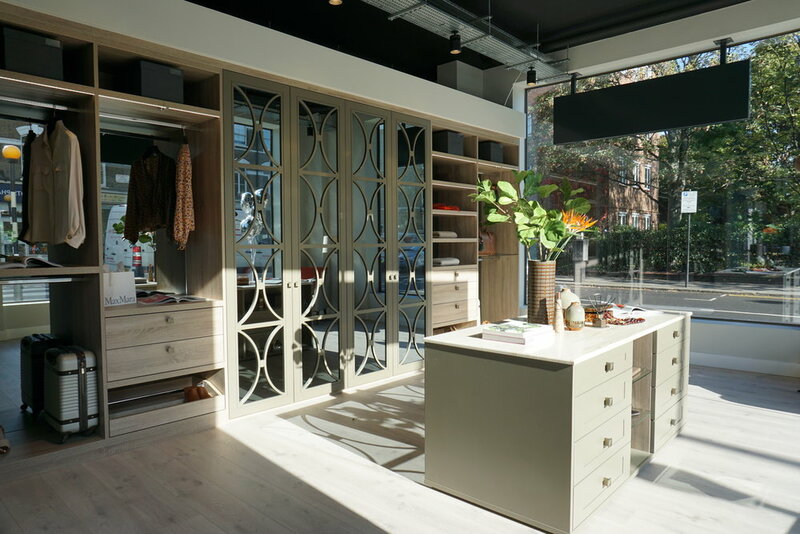 This is Neatsmith’s 5th standalone store to open in and around London, showcasing 4,000 sgft of their extensive range of bespoke wardrobes, accompanying furniture and studies. The made-to-measure nature of Neatsmith’s service means clients can enjoy contemporary storage tailored to their needs. They aim to be at the forefront of wardrobe design and are constantly introducing new styles and innovative internal accessories. So, if you’re moving home soon or even just renovating, pop down to the showroom to have a chat about your next project with their knowledgeable and experienced design team. They will turn your ideas into custom 3D CAD design drawings which will give you a clear visualisation of your storage space and its place within your home. The showroom is full of inspiring wardrobe designs, a mixture of luxury and creativity. And if you’re worried about storage needed around chimney breasts, sloping ceilings or awkward angled rooms, don’t be, there is no space or angle which is too difficult for Neatsmith to work with. They know how to maximise your space whilst still making your room look great! Neatsmith are there to help you every step of the way in creating that dream wardrobe you’ve always wanted.